Undoubtedly the world's greatest railway journey, the Trans-Siberian Railway runs like a steel ribbon connecting east and west from Moscow over the Urals, across the magnificent Russian steppes and alongside the shore of the world's largest freshwater lake. By the time your journey ends, it will have passed through eight time zones, and traveled over 6,000 miles - one third of the way around the world. Our Trans-Siberian tours take a leisurely two weeks for the journey, making sure you get plenty of time to take in and enjoy this Voyage of a Lifetime. Opened in stages between 1891 and 1916, this extraordinary engineering achievement is a vital national asset - and by far the best way to experience the grandeur of Russia's rarely visited interior. 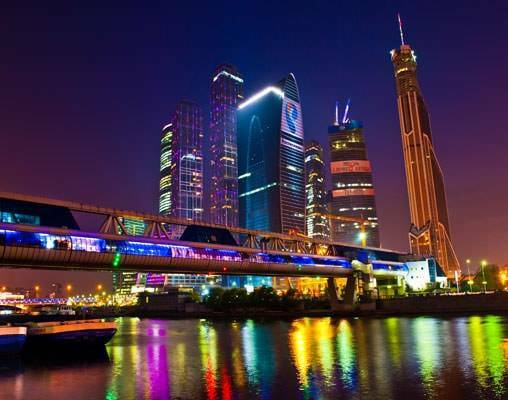 Journey is also available Moscow to Vladivostok based on your travel preference. Arrive at Vladivostok airport, where you will be met and transferred to the centrally located four-star Hotel Hyundai. We will enjoy a welcome reception dinner at our hotel, where you will meet your fellow travelers and anticipate the epic 15-day voyage that lies ahead. Overnight Vladivostok. Today we spend the morning in Vladivostok. This once "closed" Russian port now offers visitors an exciting opportunity to unravel its mysteries as we explore its principal military attractions including a tour of a restored submarine before boarding the Golden Eagle Trans-Siberian Express this the afternoon. 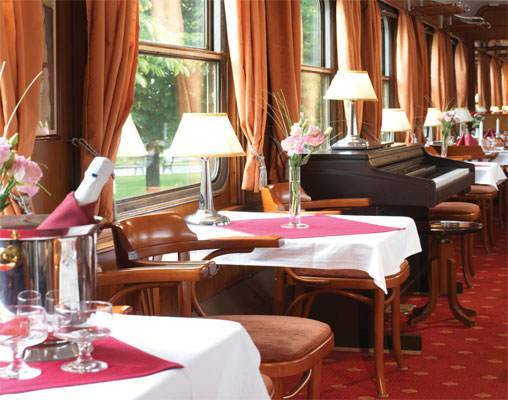 After settling into your modern, stylish cabins, enjoy dinner in one of the beautifully designed restaurant cars as our rail adventure westwards to Moscow begins. Overnight train. Passing directly north of Osaka, Darwin and Seoul we spend our first full day on board the Golden Eagle today. This is the most easterly point of our mammoth journey passing through Khabarovsk, where we stop for a short city tour. We then rejoin the train and cross the River Amur, as we make our way west. Overnight train. Our journey today follows the Shilka and Amur rivers, close to the Chinese border. Enjoy Russia at its most beautiful and remote, as the landscape unfolds outside your window. Or, you may like to attend one of the absorbing lectures or Russian language lessons. Overnight train. Today offers you the perfect opportunity to practice your improving Russian or take advantage of the train's many on board amenities. For those who like to socialize, the Bar Car is the perfect place to enjoy a chat with your fellow passengers as you listen to our resident musician. Overnight train. 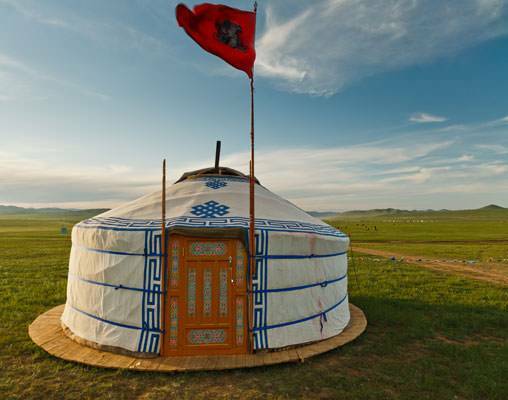 Our Trans-Siberian adventure takes us into Mongolia, home of Genghis Khan, undoubtedly the most feared and revered Mongol, and we visit the capital city of Ulaanbaatar. Lunch is taken Mongol-style in a traditional Ger (Yurt) where we experience an authentic meal, enjoying excellent local dishes and entertainment providing a unique opportunity to encounter this time-honored nomadic way of life. We board the train in time for dinner as we head back into Russia. Overnight train. This afternoon we arrive in Ulan Ude, capital of the Buryat Republic. 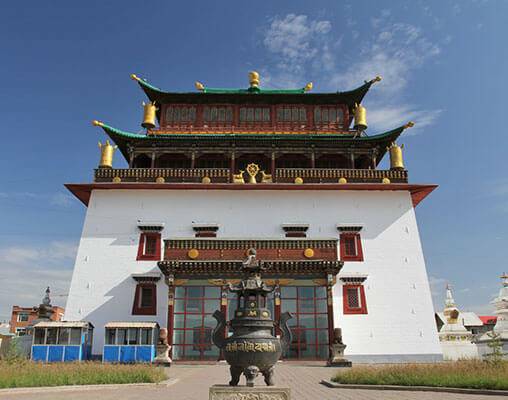 The ethnic and cultural diversity of this area offers a unique insight into its Mongol heritage. As we tour the area you will notice the different faces and dress styles of these welcoming people. During our exploration of the Old Believers Village we have the opportunity to learn about the culture and history of these communities as we are treated to a traditional meal and enjoy a concert featuring local dancers and musicians. Overnight train. Few natural sights can surpass the beauty and grandeur of Lake Baikal. For five hours we wind our way through tunnels along cliff-hugging tracks above the lake with a vista of snow capped peaks along the far shore. 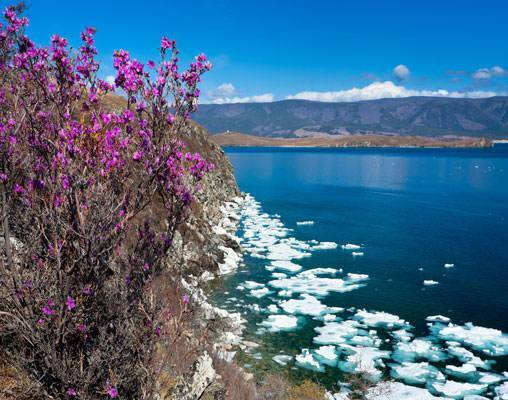 Lake Baikal is the deepest lake in the world and holds 20% of the world's freshwater. Also known as the "Pearl of Siberia," it is home to a unique breed of freshwater seal and over fifty species of fish including omul which we will be serving in the dining car for some of our meals. Weather permitting, we stop at one of Baikal's picturesque and secluded bays to enjoy a delicious BBQ including freshly smoked fish prepared by our own chefs. For the brave hearted, there is even time for a refreshing swim in the crystal clear waters before we visit Listvyanka, a small Baikal settlement nestling at the base of the surrounding hills. Overnight train. We arrive in Irkutsk, the "Paris of Siberia," and our visit takes in the most significant sites and museums in this fascinating city, including an exploration of the classic wooden architecture that has given many of this region's buildings such a distinctive and unique appearance. Next, we visit the Decembrist House museum, which is dedicated to the memory of the exiled aristocrats who were forced to flee to this remote outpost after the failed revolution of 1825. Here we enjoy a private concert before returning to our waiting train for dinner. Overnight train. Today is a day to unwind and reflect on the many sights and sounds we have experienced on our journey so far. Chat with your fellow travelers, perhaps learn a few more words of Russian or simply enjoy the ever-changing landscape outside your window. Overnight train. 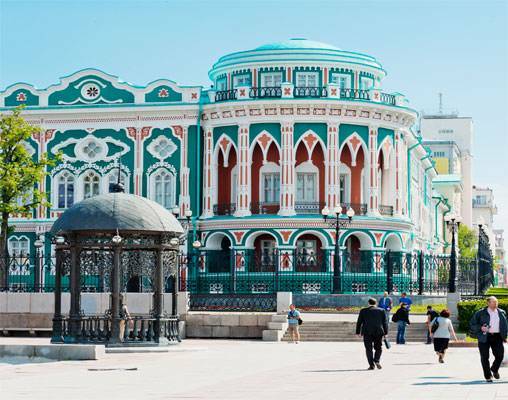 Founded in 1723 by Peter the Great, Yekaterinburg is the third largest Russian city and the capital of the Urals. The cultural and architectural influences of European and Asian civilizations come together in this fascinating and cosmopolitan landscape. Our city tour takes us to the poignant site where the Romanov, Nicholas II of Russia was executed with his family by the Bolsheviks in 1918. Now a church dedicated to their memory, this site provides us with a powerful insight into the turmoil of the Russian Revolution. We cross the Europe/Asia divide after we leave Yekaterinburg. Overnight train. We spend our last full day on board the Golden Eagle today. We arrive at the picturesque and historic city of Kazan by mid-morning. 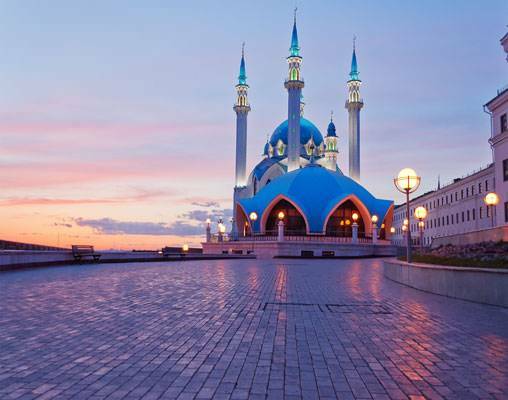 Situated on the River Volga, Kazan is the capital of Tatarstan. Here we have the opportunity to see for ourselves its rich tapestry of history and culture. One of the highlights of this city tour is our exploration of the Kremlin Fortress, a UNESCO World Heritage Site. Within the walls of this ancient citadel we will explore its stunning mosque and magnificent onion-domed cathedral. Overnight train. After traveling over an amazing 6,600 miles along this epic route to the end of the Trans-Siberian line, we arrive in Moscow. Our city tour of Moscow principally takes us to Red Square, an iconic symbol of Russia's former military and political might. Here we see an eclectic mix of fascinating architecture, such as the ornate St Basil's Cathedral with its magnificent onion-domed spires, the grandeur of The Kremlin and the somber and evocative site of Lenin's tomb. With our Freedom of Choice touring options you may instead wish to visit, for example, the Tretyakov Gallery. At the conclusion of our city tour, we transfer to the luxurious five-star Marriott Royal Aurora hotel (or similar) located in the heart of this vibrant city. Our final evening is spent saying our goodbyes to our fellow traveling companions and friends at the Farewell Dinner. Overnight train. Eastbound itinerary available upon request. Silver Class cabins, which are compact at 60 sq ft feature a small double lower bed and a single upper bed as well as DVD/CD player, LCD screen, safe, individual air-conditioning, wardrobe and large picture window. The Silver Class cabins have private en-suite wet room with a washbasin, toilet and shower. Gold Class cabins, at 77 sq ft are extremely well-proportioned and have everything from a private bathroom with separate power shower cubicle and underfloor heating to a DVD/CD player, LCD screen, safe, individual air-conditioning, wardrobe, large picture window as well as featuring a double lower bed and a single upper bed. Guests in Gold Class benefit from complimentary drinks off the Standard Bar List in the Bar Lounge Car. Imperial Suite cabins, the most spacious cabins available onboard the Golden Eagle measures 120 sq ft and benefits from a large and luxurious double bed as well as a lounge area with dressing table. Imperial Suite facilities include a private en-suite bathroom with power shower and the luxury of underfloor heating; individual air-conditioning; wardrobe; DVD/CD player with LCD screen; complimentary fully stocked minibar; safe; small library and two large picture windows to watch the world go by. Guests will also benefit from the option of a private guide and car service along the route, the inclusion of drinks from the standard and premium bar list in the Bar Lounge Car, a laundry service and room upgrades to the next available category at the hotels which are featured in the itinerary. Click here to view testimonials for The Golden Eagle - The Trans Siberian Express. Everyone was very helpful to us and the trip was all that we had hoped it would be. Enter your details below if you would like to be notified when 2021 dates and prices are available for The Golden Eagle - The Trans Siberian Express. Prices are land-only, per person in $USD based on double occupancy and include all taxes and fees. Prices are subject to change. Please reconfirm at the time of booking. We strongly suggest adding trip insurance to any and all bookings. A valid passport is required for this vacation. Visa requirements may also apply. Please inquire at time of booking.